ALBACOXE INC. PHOTOGRAPHY CC. is proud to use the very BEST in VIRTUAL TOUR SOFTWARE, and therefore it is no surprise that we use VPIX to showcase our VIRTUAL TOURS. 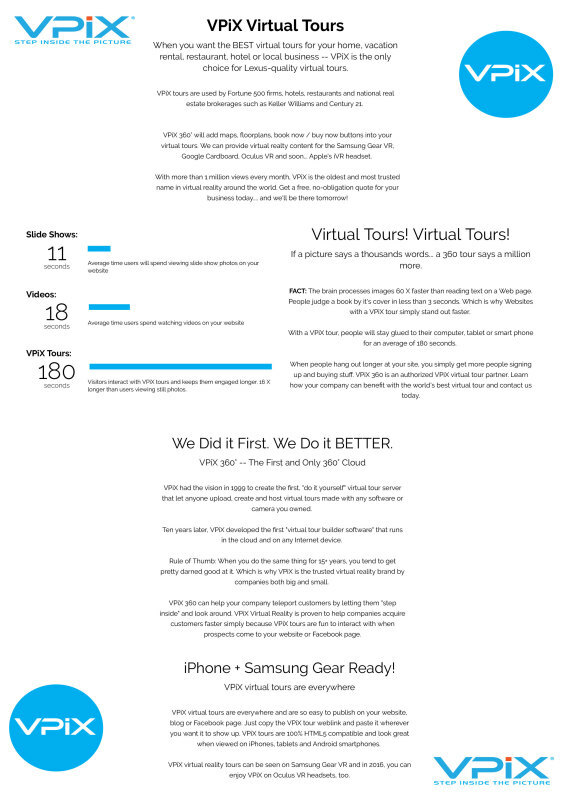 As you will see, read and experience below, VIRTUAL TOURS with VPIX are a must if you want the BEST VIRTUAL EXPERIENCE of your business/hotel/restaurant/facility. When viewing the Virtual Tour on a smartphone/tablet, it is better to turn the device horizontally.